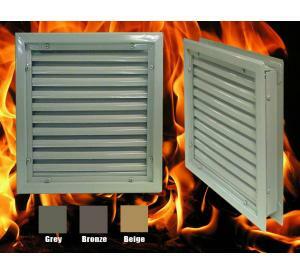 Adjustable Z-Blade Louver with Fusible Link is ideal for use in Fire doors up to 1.5" Hour Rating. Adjustable blades of 16 gauge (059") CRS pivot on cadmium-plated steel riots. The blades are operated by a manual adjusting lever. A spring loaded fusible link mechanism is incorporated into the design. Upon melting of the link at 165?F, the action bar is actuated, thereby closing and locking all of the blades. 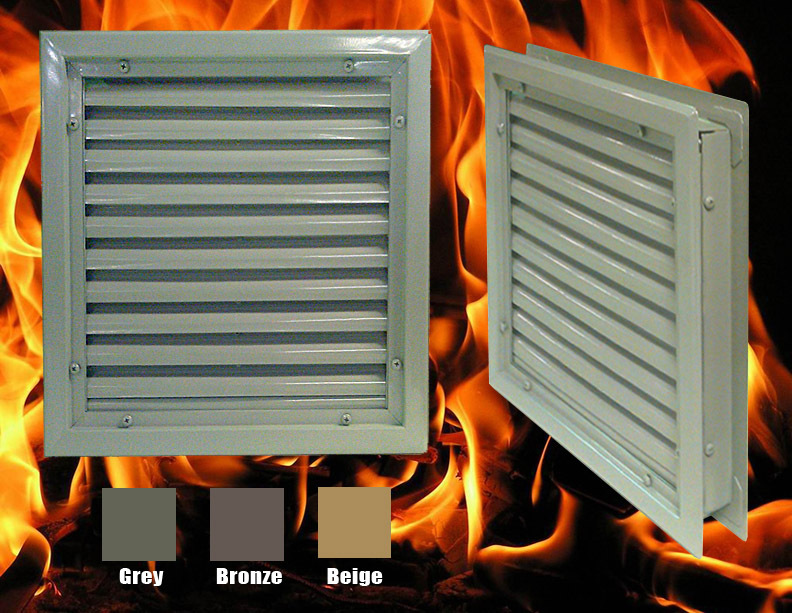 Model 1900-A is Rated for use in fire doors up to 1-1/2 hour rating. 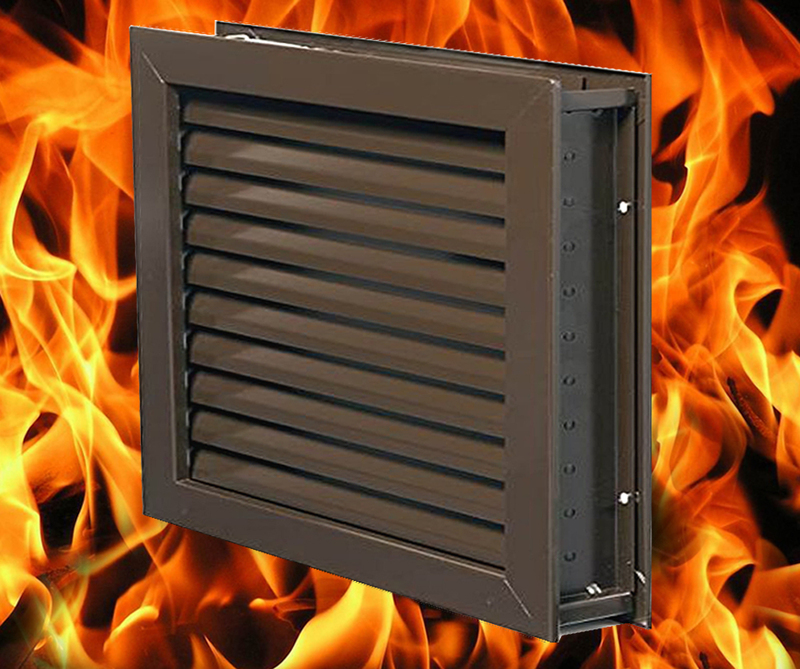 Louvers may be provided for classified hollow metal type and composite type fire doors. Consult with Local Authority Having Jurisdiction (AHJ) to determine appropriate standards. Louver frame will be labeled with Listing mark. Material: 18 Gauge CRS frame. 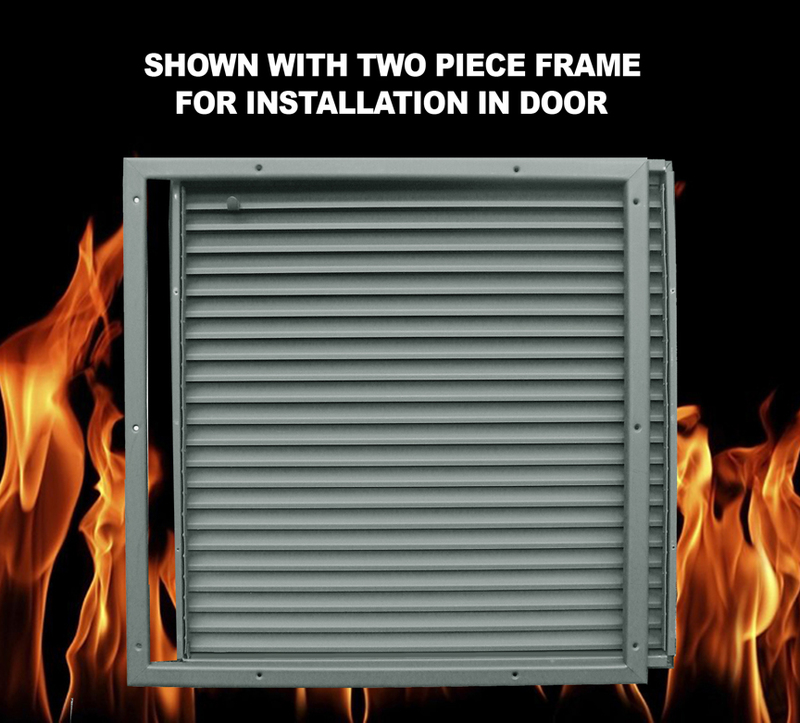 Frame: Mitered and welded corners; screw fastened through prepared frame into louver core leaving corridor side of frame free of fasteners. Door: For 1-3/4" steel or composite doors - Doorcutout = Order size. Fasteners: #8 x 3/4" Phillips flathead screws to match finish.